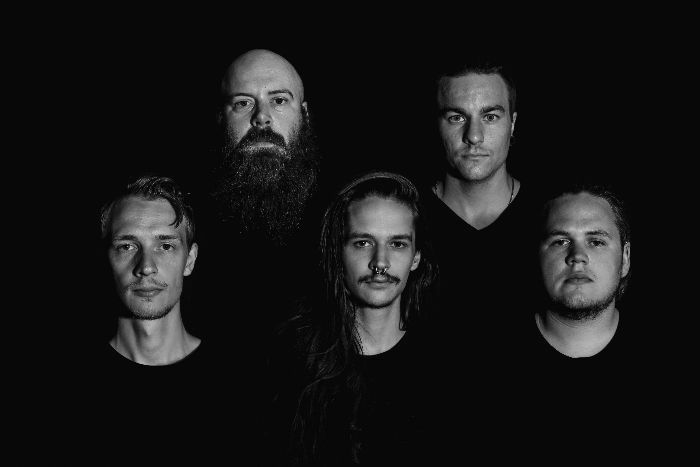 Sludgy post-metal band SIBERIAN have teamed up with The Sludgelord to stream "Axis Mundi" a live in the studio recording from their upcoming EP "Live At Studio Underjord." Siberian released their theme-based debut album "Modern Age Mausoleum" in 2014. It was the first chapter in Siberian's "Age trilogy." The album displays a Orwellian view of the modern society. After several tour cycles the band started to work with what was going to become their next release. The band worked with the documentation of all their personal dreams. The material became the foundation of what was to become their second theme-based release in the trilogy named "Through Ages of Sleep." The follow-up explores the subconscious mind in dreams and is portrayed both sonically and lyrically. The album takes Siberian a step further sounding more mature and grown up compared to the previous debut. The band have stated in interviews that they shun away from any musical rules and focus only on writing what feels right. Since the release, the band evolved their musicality and added new members to the group expanding the band from a three-piece to a quintet. Focusing on writing new material with new instruments in the band. Siberian is introducing it's new members with a new live EP Live at Studio Underjord set to be released in February 2019.